It’s less than 1 month away from Christmas! How are you planning to celebrate Christmas this year? How about… celebrating underwater? On November 28, a decorated Christmas tree was put up underwater in Kushimoto, Wakayama – one of the best dive areas in West Japan. 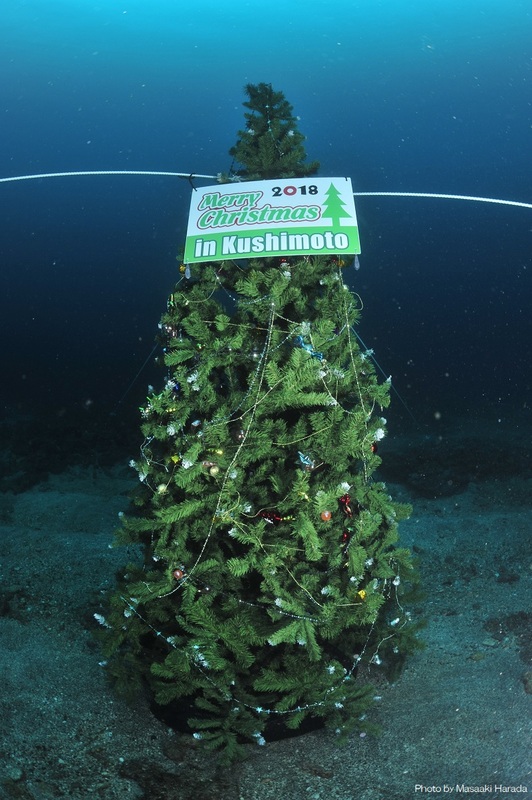 According to Nanki Seamans Club, this Christmas tree is put up every year from the end of November till Christmas day at a dive site named “Bizen”, 18 m deep. This is where you can see Kushimoto’s famous Tomato grouper within groups of Pigmy sweeper. 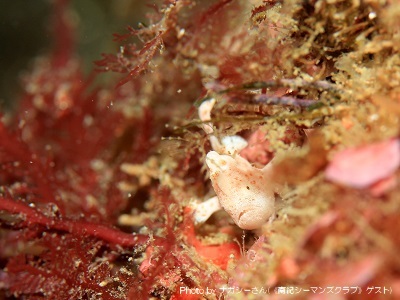 At the other dive site in Kushimoto called “Sumisaki”, many kinds of juvenile frogfish are being seen these days. 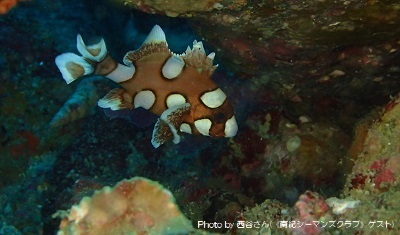 The juvenile Harlequin sweetlips which appeared in Summer is still here, but with the lowering water temperature, perhaps it is almost time to say good-bye.